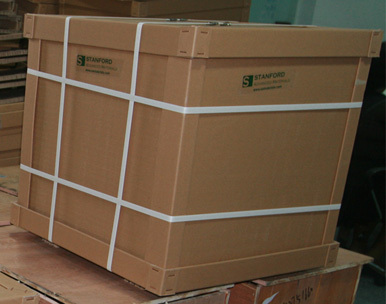 Stanford Advanced Materials (SAM) is a trusted supplier of Molybdenum products. 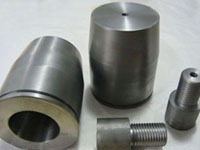 We manufacture high performance Molybdenum Spinning Nozzle to meet high temperature applications. Molybdenum (Mo) is gray-metallic and has the third highest melting point of any element next to tungsten and tantalum. It is found in various oxidation states in minerals but does not occur naturally as a free metal. Molybdenum is well-known for its strength and stability in high-heat applications. It is often alloyed with other compounds to improve corrosion resistance and strength at high temperatures. Consequently, molybdenum is frequently used for making steel alloys, high strength alloys, and superalloys. Molybdenum compounds usually have a low solubility in water. Industrially, they are used in high-pressure and high-temperature applications such as pigments and catalysts. Molybdenum spinning nozzles are mainly used for wool and fiber production. Glass wool and glass fiber are manufactured at temperatures of over 1600 °C (2912 °F). During the production process, the liquid melt passes through outflow molybdenum nozzles or tungsten nozzles. The melt is then either blown or spun to create the finished product.